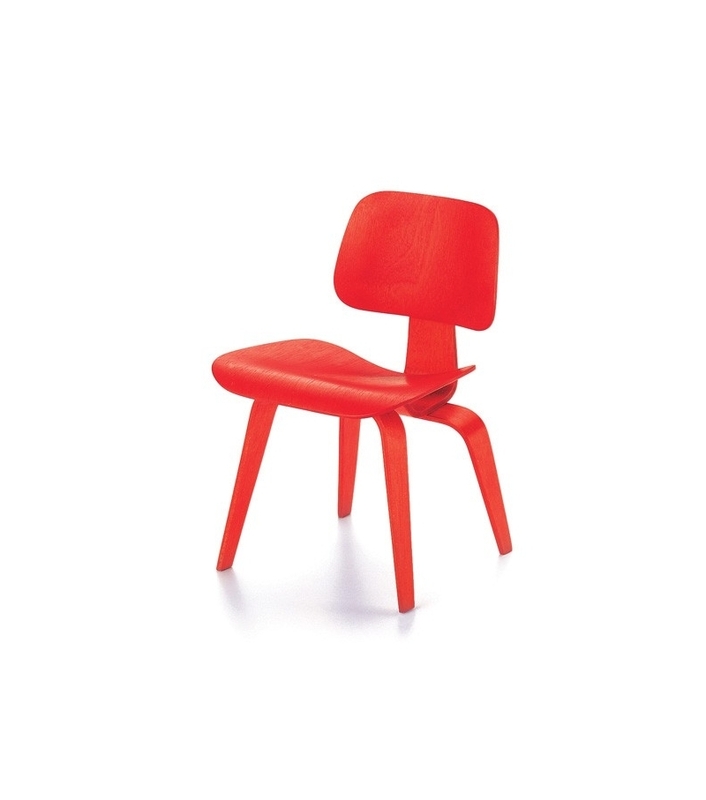 Vitra Miniature DCW, Eames: In 1940, Charles Eames and Eero Saarinen developed a chair with a novel plywood seat molded into a three-dimensional form for a competition sponsored by the New York Museum of Modern Art. 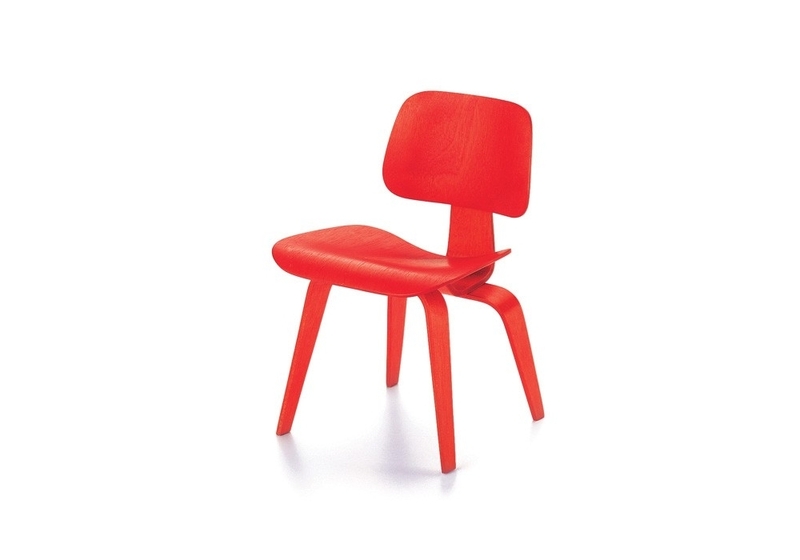 Vitra Miniature DCW, Eames: In 1940, Charles Eames and Eero Saarinen developed a chair with a novel plywood seat molded into a three-dimensional form for a competition sponsored by the New York Museum of Modern Art. 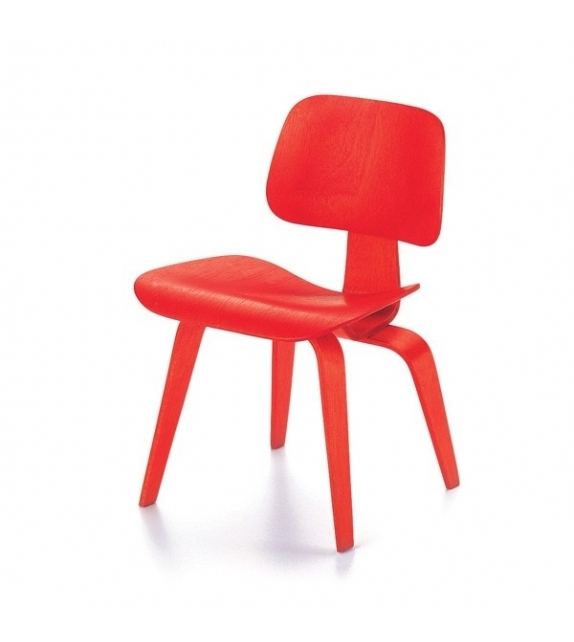 However, it was not possible to produce the chair commercially, due to inadequate technical methods. It was seldom possible to press the plywood into a three-dimensional form without it breaking or splitting. During the following years, Charles and Ray Eames concentrated their efforts on developing a new method. The plywood chairs DCW (Dining Chair Wood) and LCW (Lounge Chair Wood) are the result of this long-term experimentation. In 1945, Charles and Ray Eames returned to the idea of a seating shell made out of molded plywood; however the results were unsatisfying. They dispensed with the multifunctional shell and divided the seat and back into separate, freely articulated elementsconnected by a spine (frame). Each element has a clearly defined function, which it fulfills optimally with a minimum amount of material. "Shock mounts" – rubber disks bonded onto the wooden surface – connect the seat and back with the frame, which exists in wood or metal and in two different heights, either as a dining chair or lounge chair. Laminated natural wood. Made in Poland.